After a sunset cruise through the Charleston Harbor (which I promise I will chronicle soon), the only next logical place to go was out for paella. We were in luck, Charleston has its very own tapas and paella restaurant/bar named Basra. It was located on the very edge of downtown but by no means a far drive from the harbor. The inside of the restaurant was all dark wood, very modern feeling but we decided to sit outside on their lovely patio. Unfortunately, all of the bugs were also on the patio, so we had to move inside. They had a selection of $9 bottles of wine served food until midnight. On that fact alone, I would highly recommend checking them out for late night drinks and eats, which aren’t easy to come by there. As a great paella is made to order and takes about an hour, we did the sensible thing and ordered some tapas. 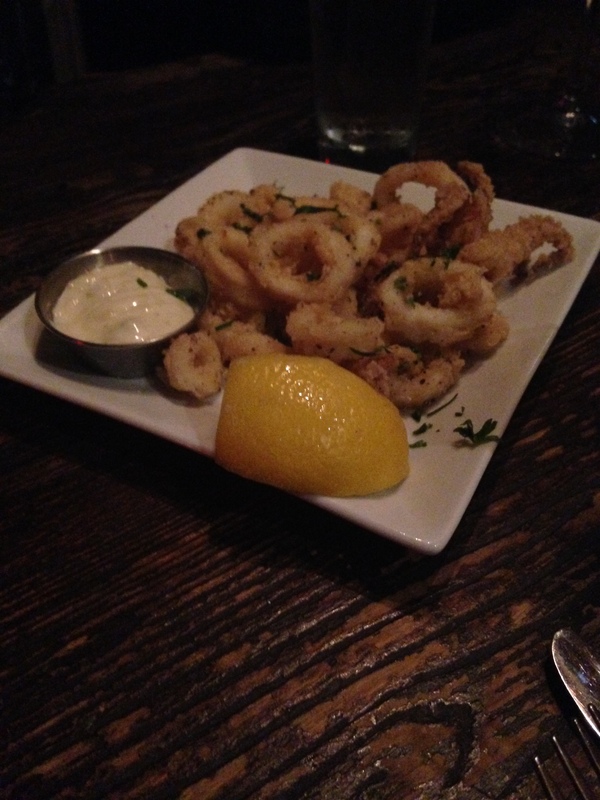 First up was the calamari. I love calamari, but it seems all to easy to get wrong. It could be too rubbery or over-friend. I liked that here it was served lightly fried, very delicious. 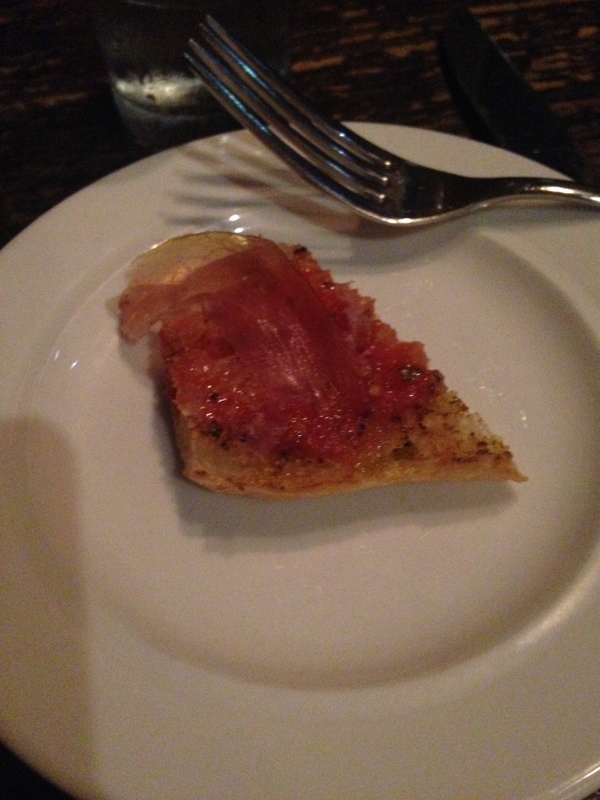 Our second tapas was very simple: toasted bread with a tomato spread and thinly sliced ham. I think it might have been my favorite dish of the night as it was delectable in its simplicity. And finally, the main event. 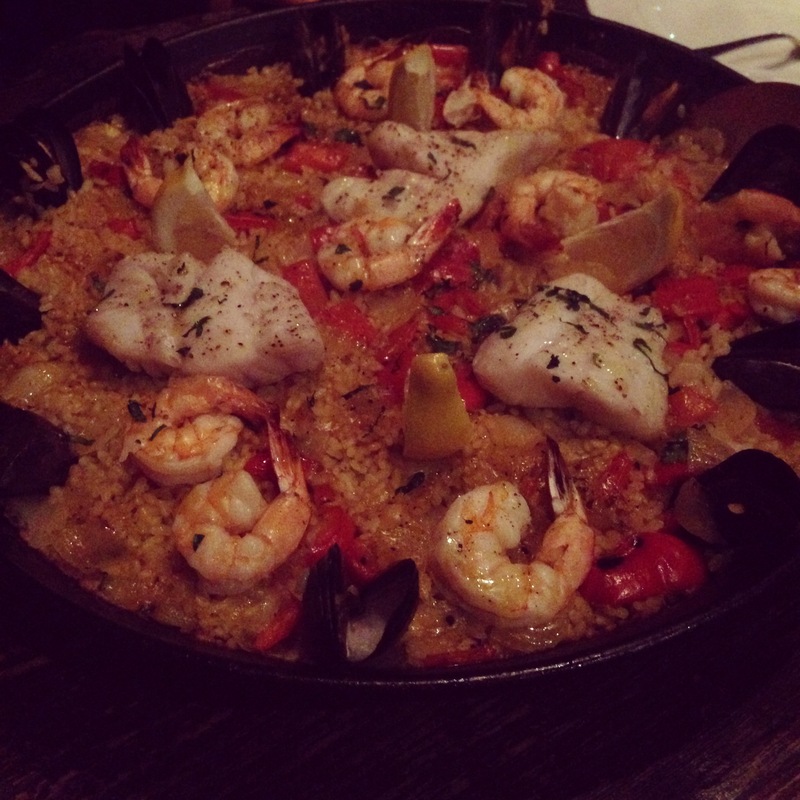 The large seafood paella. I wish I had something near it to give you an idea of the scale, but it was too much food for three people. Mussels lined the outside. The inside was the rice, a white fish, shrimp, and bell peppers. The presentation was quite impressive as was the taste. The best part is always the burnt-y rice at the bottom. I also really enjoyed the fresh shrimp, too. I had some of the leftovers the next day, and it made a great lunch. 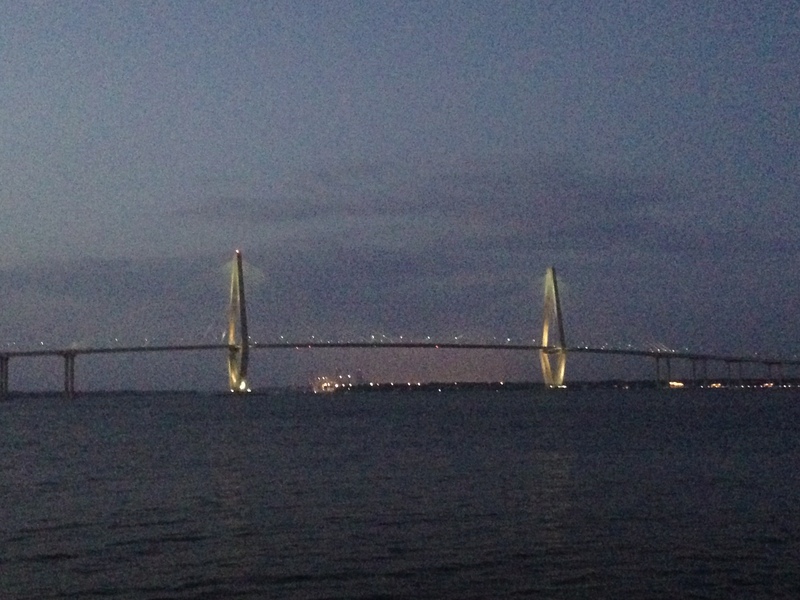 If you are in the Charleston area and looking for a great paella, late night eats, or even just tapas and reasonably priced drinks, you should absolutely stop by Basra.